Tactica Interactive was honoured to receive the best microsite award and best social media award at the Winnipeg Advertising Association’s 2016 Signature Awards for our interactive microsite with social media component developed in collaboration with CHCH, Rosetta Media, and Buffalo Gal Pictures. 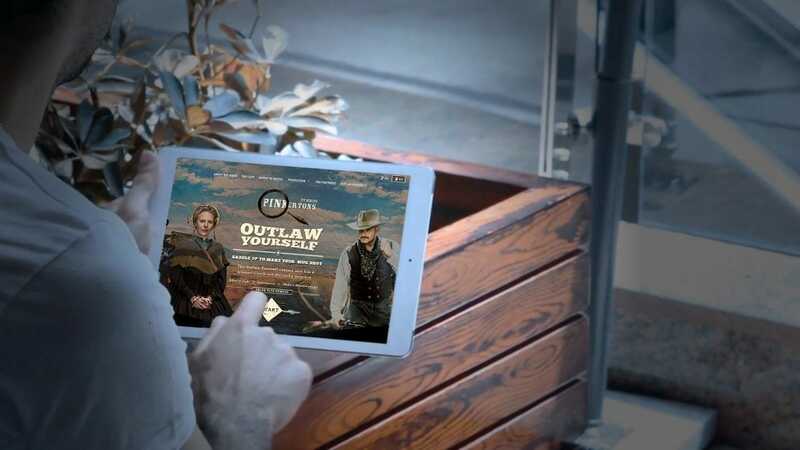 Tactica created the Outlaw Yourself web app which lets users transform themselves into cowboys, gunslingers, saloon girls, prospectors, fortune tellers and lawmen. By uploading and customizing their own photo we let them create a high-quality, sepia-toned, vintage photos that can be downloaded, shared on multiple social media platforms, or made into wanted posters. This let us bring the audience closer to the show by making them part of the Pinkerton’s 1860’s crime solving world. The Signature Awards are an annual celebration of local creative talent. Founded in 1988 by the Advertising Association of Winnipeg, this premiere event showcases the best advertising, marketing and design produced in Manitoba the previous year and is judged by an international panel of industry peers.